if you aren't up to date on bullet journaling, i'll fill you in. 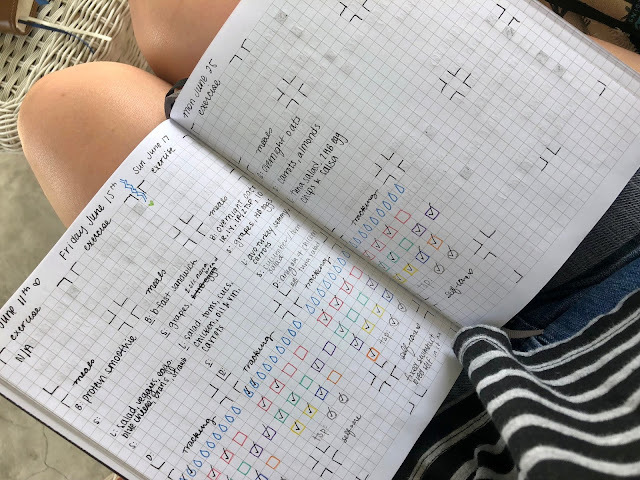 simply put, a bullet journal is an organizational system that can essentially be personalized any way that suits you. 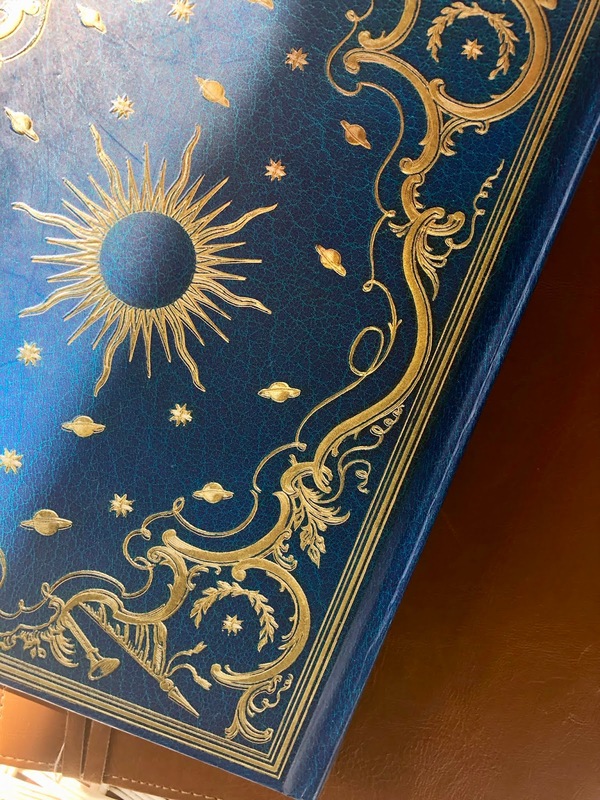 as it says on the site, it can serve as a "to-do list, sketchbook, notebook, and diary, but most likely, it will be all of the above." while the initial set-up can seem a bit overwhelming, it is undoubtedly worth it. 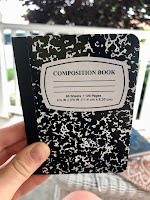 i found a super helpful guide on how to start up your first bullet journal on the site "life plus paper". what's so great about bullet journaling? 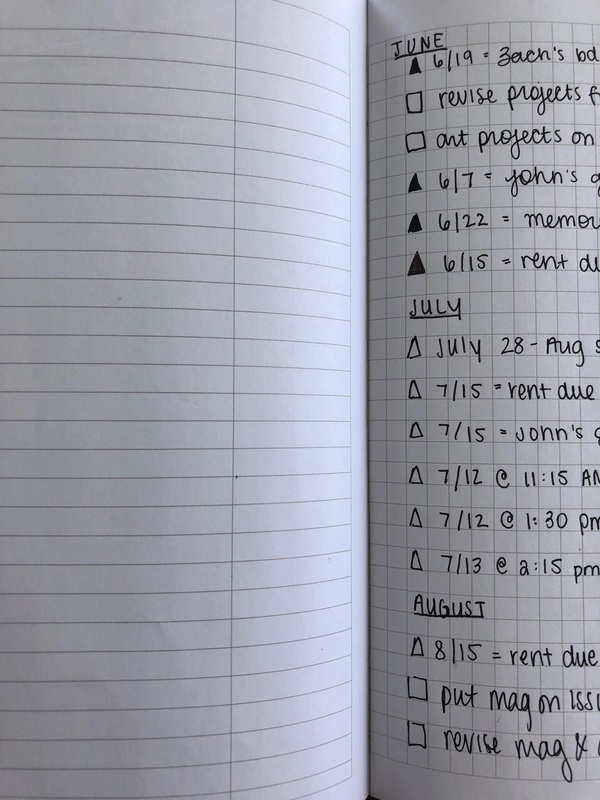 bullet journaling will help you get your life together, all kidding aside. that you update as you go. 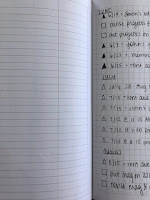 There is where you list all of the important page titles along with their page numbers, for easy reference later. 4. It'll help you prioritize. The system is designed to help prevent you from wasting time on tasks that aren't worth it. It categorizes everything as tasks to be dealt with right now, later on, or not all. 5. It'll motivate you. You'll feel like a champ as you start completing the tasks you laid out for yourself. The more you get done, the more motivated you will be to keep on keepin' on. It feels good to get stuff done. I've been bullet journaling for several months now, and it has completely transformed the way I organize and conquer my to-do lists. I hope this inspires you to start, too! Please share your personal experience with bullet journaling in the comments, I would love to hear from you guys.